Upwards: The story of the first woman to solo thru-paddle the Northern Forest Canoe Trail is an uplifting memoir about finding the inner strength and faith to achieve a dream, set amid the rich tapestry of the history, wildlife, landscapes, and people of New England. Readers love thru-journeys, tales of hiking the Appalachian Trail or sailing away to a sun-drenched Caribbean island. They intrigue and inspire us and are responsible for far too many hours of happy day-dreaming. Now there’s a new destination for lovers of this genre. 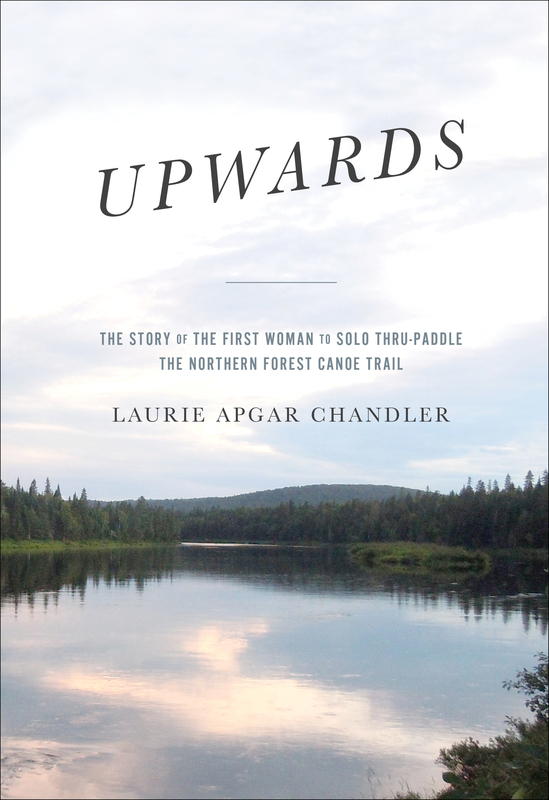 The memoir Upwards, by Laurie Apgar Chandler, explores the country’s longest mapped inland paddling trail, New England’s Northern Forest Canoe Trail. In the summer of 2015, at age 53, the author became the first woman to solo thru-paddle this relatively new trail. Since its founding in 2000, just 95 people have made the official NFCT list, going the distance in one expedition. Trail stewardship is provided by a membership-based nonprofit whose maps and online resources guided Chandler across New York, Vermont, a bit of Quebec, New Hampshire, and Maine. Join the author in her 13-foot Kevlar canoe for the most comprehensive look yet at the Northern Forest Canoe Trail. Struggle upstream and race down flooded rivers churning with whitewater. Dodge escaped convicts and linger to watch bull moose feed and loons go crazy. Find the wilderness of centuries past on remote lakes and in the nooks and crannies of busy places. Go slowly, in a small canoe, taking time to see it all along the way. On a deeper level, this is also the story of finding the inner strength and faith to achieve the improbable. This expedition was a stretch for Chandler, whose passion for wilderness paddling blossomed after 40, when she moved to Maine with her two children. In the solitude, she began journaling, drawing inspiration from her work in forestry and education, and her faith. Though she often writes and speaks about her adventures, Upwards is Chandler’s first book.